The Mega Fortune Dreams slot machine is one of the jackpot slots in Oranje Casino, where several players have already become a millionaire by gambling on it. The towering jackpot that can be worth millions is one of the draws of this game. There are of course more features that characterize the game and are also interesting because they make the game attractive. There are 20 paylines and five reels and three rows are available. The bet level and coin value can be changed by the player before and after each completed game round. For winning combinations, the highest win on an active payline counts. The wild symbols of the game Mega Fortune Dreams consist of images of palm trees and, with the exception of scatters and bonus symbols, all others replace symbols. The wild replaces the symbol that can produce the highest payout on any of the active paylines. The wild symbols can appear on all reels and if at least three wilds are seen, a re-spin is given. The reels start spinning again without releasing anything from the bet and the game symbols remain in that game round. It is possible that a re-spin will result in a combination with free spins or access to the bonus round. The Mega Fortune Dreams slot machine offers the possibility of winning free spins if at least three scatter symbols are displayed. A scatter can be recognized by the image of a rotating diamond. The player receives 10 free spins with three diamonds and 15 free spins with four diamonds. 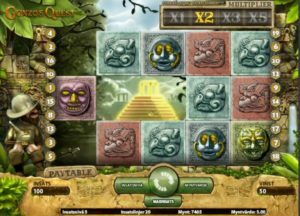 If five scatters are shown on the reels, 20 free spins are given. All winnings earned during the free game rounds will be multiplied by a factor of three. If a scatter appears on the reels during the round with free spins, the multiplier can increase even further to a maximum factor of ten. It is also possible that even more free spins are won during this round. During the bonus game the player has a chance of winning a prize and the highest prize that can be won is the Mega jackpot. To enter the bonus round, a minimum of three bonus symbols must appear on reels three, four or five. The bonus symbols are recognizable in the image of a wheel of fortune with the mention ‘bonus’. A fixed amount of coins can be won by turning the wheel of fortune in the bonus game, but there is also a chance of winning. a jackpot. A total of three jackpots are available, namely the Mega jackpot, Major jackpot and the Rapid jackpot, each with different amounts. The position of the current jackpot amounts is displayed above the reels. The wheel of fortune is made up of three rings and with gaining access to the next ring the chance of winning a higher prize or the jackpot increases.